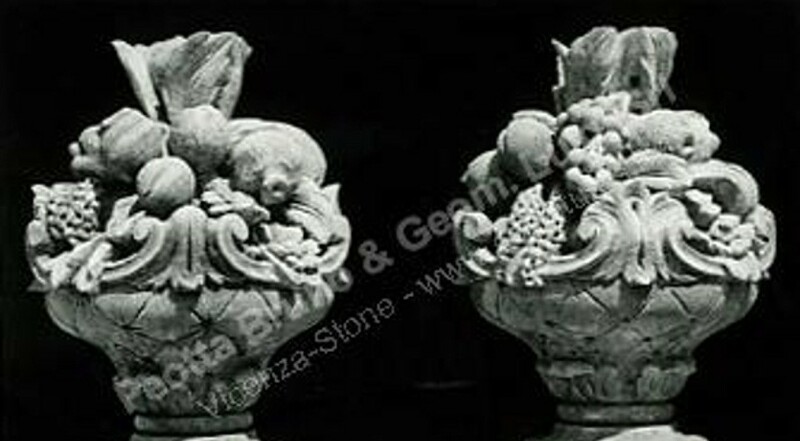 This Vicenza Stone Basket of Fruit is a highly decorative finial ornament from Peotta Bruno. The neo-gothic style basket with interlaced strapwork overflows with ripe fruits in a naturalistic style. This neo-gothic revival style finial can be used as a highly decorative garden ornament to enhance balustrading. Square plinth at the base, 18th Century origin.